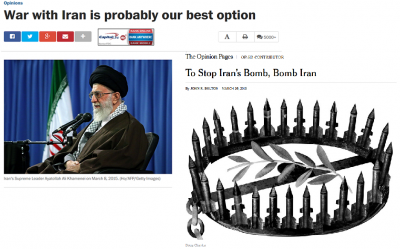 Image: Op-eds in the Washington Post (left) and New York Times called for unprovoked military attacks on Iran. But when the newspapers are American – the New York Times and the Washington Post – and the target country is Iran, no one in the US government and media bats an eye. These inflammatory articles – these incitements to murder and violation of international law – are considered just normal discussion in the Land of Exceptionalism. 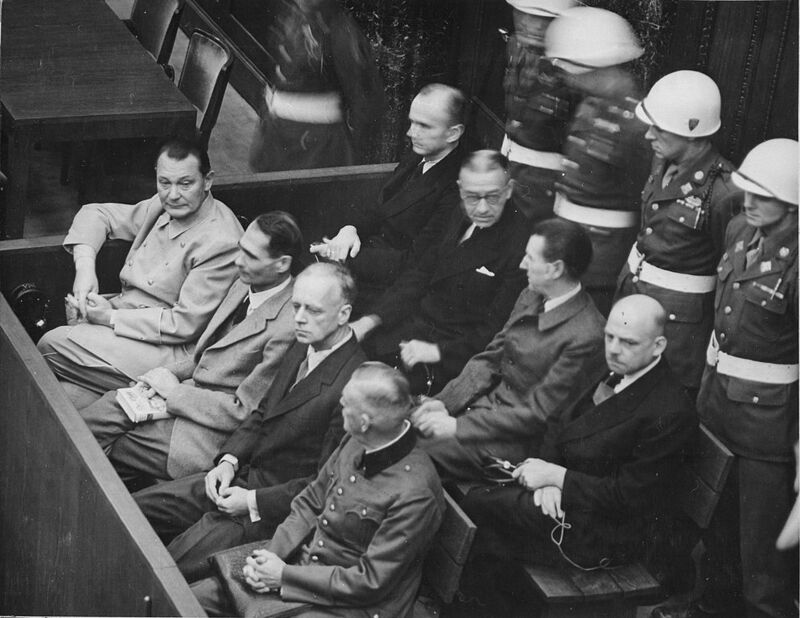 Image: Defendants at Nuremberg were found guilty and hanged for carrying out the policies advocated by the Washington Postand New York Times op-ed pages. All Members shall refrain in their international relations from the threat or use of force against the territorial integrity or political independence of any state. So to advocate for war, as the Washington Post and New York Times op-ed pages have done, is to incite a crime–“the supreme international crime,” as Jackson noted. How would we react if leading papers were to run articles suggesting that genocide was the best solution to an international conflict–or that lynching is the answer to domestic problems? Calling for an unprovoked military attack against another nation is in the same category of argument. The Washington Post can be reached at [email protected] or viaTwitter @washingtonpost. The New York Times‘ email is :[email protected] and Twitter account is @nytimes. Remember that respectful communication is most effective.